Do You Want To Join The Beauty Blender Revolution? 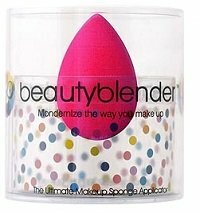 A beauty blender is a multipurpose sponge that has many more features than regular sponges. The original is a small pink egg-y shaped sponge applicator. Kind of... It’s designed to make the most important part of makeup application easier. The blend, blend, blend! The shape makes it easy to apply your products on larger surfaces, and in the little nooks and crannies of your face. If you use lots of sponges for your makeup, this will be beneficial for you because it’s like a long lasting sponge that you can wash over and over again. It also absorbs less makeup because of its suede material. Use it when you want a sheer finish to your makeup because it’s very good at thinning the product in the process of application. There’s also a dye-free version('Pure') for those who have very sensitive skin. There are other companies that are making product blenders. These go under different names of course. These retail at much lower prices than the original, and may not be of similar quality, but they’re a can do option when you really want a blender as opposed to a regular sponge. You can find them in most online and regular beauty stores. You can apply primer, foundation, and blush with the beauty blender. Whether you’re using powder, liquid or cream products, you have to wet the sponge first before use. If you don’t wet it, your makeup is going to look cakey and really terrible! So run some water into it, then squeeze it out so that it’s damp, not dripping wet. Then it’s going to expand to maybe medium/ large egg size. Place your wet products on the back of your hand. Put some on the sponge and apply in stippling motion. 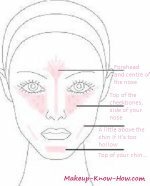 Stippling is when you dab the blender on your face as opposed to wiping the makeup on. The dabbing should be done while at the same time turning the sponge in a bit of a circular motion. When you do it properly, I'd dare say that you'll be addicted to blenders... The finish is beautiful and natural and fresh! Use warm water and baby wash/ shampoo. You can also use a cheaper face wash that’s meant for unclogging pores and such. Run it under some warm water first. Then apply the cleanser, and work it into the sponge. Rub and roll it into the palm of your hand to really get the product that has seeped in to come out. Rinse, and repeat until you no longer see any product coming out of the sponge. Leave the squeaky clean sponge to dry!